The Lagotto Romagnolo is a working dog originating in the Romagna sub-region of Italy. Lagotto Romagnolo means “lake dog from Romagna”, and it’s quite appropriate. This hypoallergenic dog breed was traditionally used as a water retriever. Today, it’s often used to hunt truffles. Related: Hypoallergenic Dogs for Adoption: Find Your New Best Friend! The Lagotto Romagnolo is a high energy, medium sized breed. As a working dog, it needed that energy to help it stay in the field for long periods as it helped its owners hunt. Today, that energy means you need lots of walks to keep your pooch happy. This breed makes an excellent dog for an active family, or for a family willing to take it for 3 to 4 walks a day. The Lagotto Romagnolo is a highly affectionate, loyal, and intelligent breed, making them an ideal family companion. They are easy to train, and they love to love and be loved. This hypoallergenic dog breed gets along well with people and animals outside of the family if it is properly socialized as a puppy. Because at it’s core, it’s a hunting dog, part of socializing the breed is introducing it to bunnies and other rodent pets, so it doesn’t view them as prey. The Lagotto Romagnolo is a working dog and highly intelligent. That combination means that it needs adequate mental and physical exercise to keep it happy and healthy. A fenced in yard is great for this breed, but be aware that the breed loves to dig. So protect any flower beds if you want to keep them. If a fenced in yard isn’t possible, a good walk 3 to 4 times a day will be necessary to keep your dog properly exercised. The Lagotto Romagnolo is an extremely healthy breed. They live upwards of 16 years, quite a long time as far as most dog breeds go, and they rarely have health issues. Hip dysplasia, Benign Juvenile Epilepsy, and Cerebral Anomaly are associated with the breed, but they are generally the result of poor breeding. 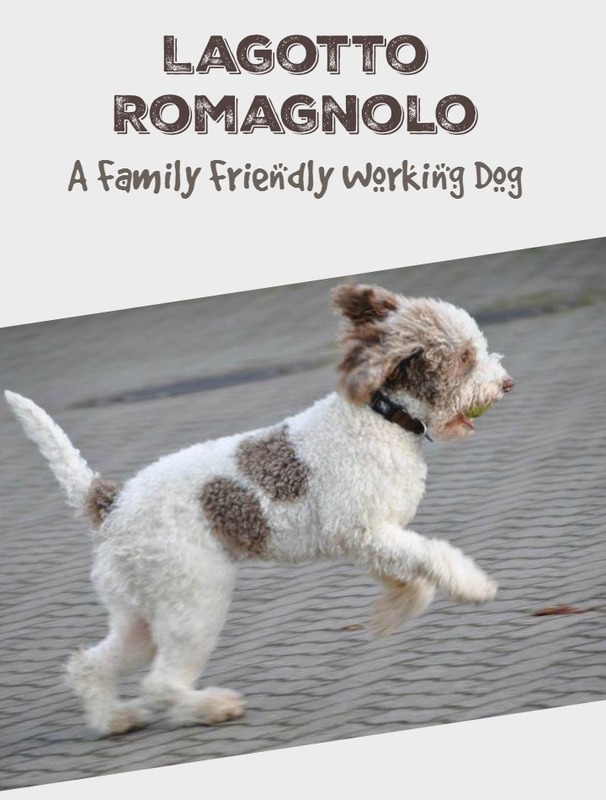 The Lagotto Romagnolo may have its roots as a water retriever, but you don’t have to take it hunting to have a happy dog that fits in well with the family. This intelligent, energetic, friendly breed is just as happy to go for a walk as it is track a downed bird. All the Lagotto Romagnolo really needs is a family that loves it as much as it loves them. As always, make adoption your first option. While you may not find a Lagotto Romagnolo in your local shelter, there are a number of breed specific rescue website. You might find one for the Lagotto. Do you have a Lagotto Romagnolo? What do you love about these hypoallergenic dogs?